Shiva is one of the most important gods in the Hindu pantheon, along with Brahma and Vishnu. Here he is represented as Shiva Nataraja, the lord of the dance: a four-armed figure, balancing on one leg, and surrounded by a ring of cosmic fire or prabhamandala. With his right foot he tramples a dwarflike figure, called the apasmara purusha, symbol of ignorance. He repeals fear with a gesture, forming the abhaya mudra with his foremost right hand. 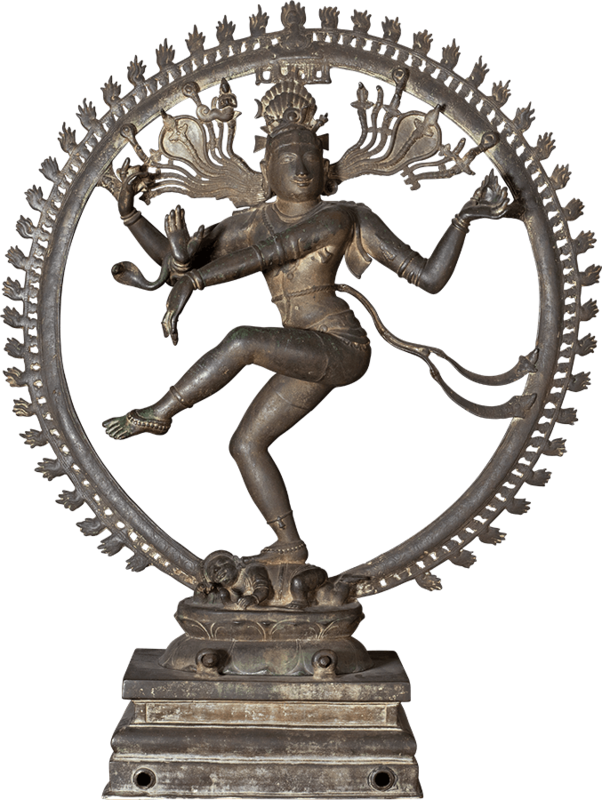 In his right hand, Shiva holds a damaru, a drum that he beats to bring the universe into creation. The openings in the base are used for poles to carry the decorated statue in processions. 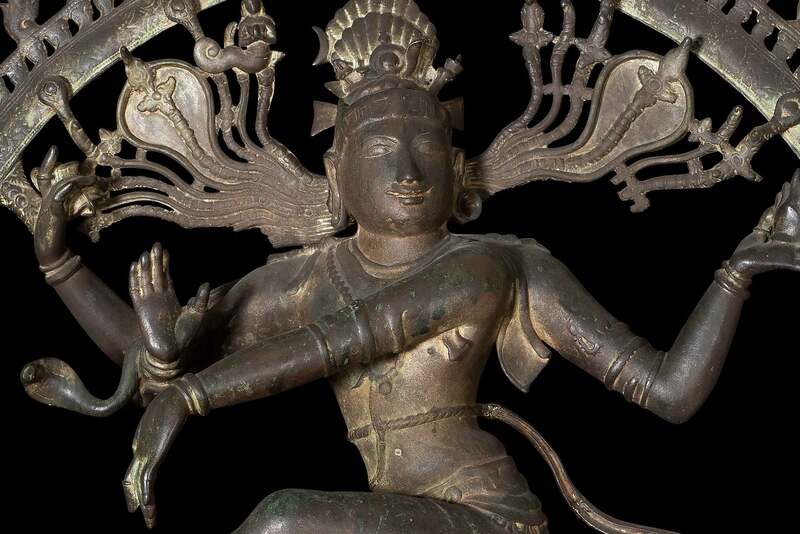 The flame of cosmic fire or agni in his left hand can end the universe. 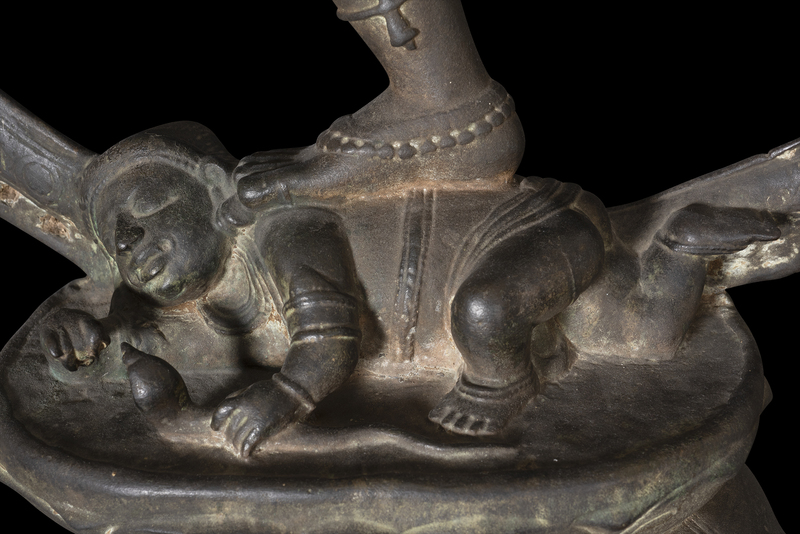 Come see this object with your own eyes in our collection India, Pakistan, Afghanistan, Sri Lanka.